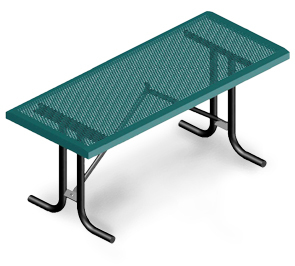 These sturdy tables feature comfort slope edges and punched steel tops which will prevent rain from collecting on the surface. Perfect for corporate events, picnics and parties or for use as a prop table. 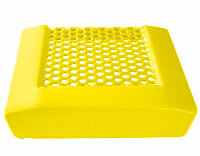 Rust-resistant, long lasting thermoplastic coating for the top with a durable powder-coated finish on the legs. For permanent placement, add surface or in-ground mounting supplies from the accessories section. Table does not come with seats. # 11 Gauge Punched Steel Top.